What do I do with debts I owe to friends or family; Do I have to include it in my NJ bankruptcy? Dealing with Debts to Friends or Family in NJ Bankruptcy Thinking about filing bankruptcy in NJ but owe money to a friend or family member? Wondering what to do about it? Then find out how to handle it here! Yes, unfortunately, you do. Although a loan from mom or a cosigning on a car loan from dad is not an unusual occurrence, the bankruptcy laws seek to treat all creditors alike, which means listing all of your debts, no exceptions. I understand how this might lead to embarrassment or a strained relationship with that friend or family member, but not listing them can have serious consequences, not the least of which the denial of your bankruptcy discharge! Here is how you handle it. As part of the bankruptcy process, speak to the friend or family member before you file. Explain to him or her that you are legally obligated to list the debt and have it discharged in the bankruptcy. However, and this is the good part, it does not prevent you from paying the debt back after the bankruptcy is over. The discharge will remove their ability to make you pay the debt through a law suit, but it does not remove your right to pay voluntarily, should you wish to. Tell them that you have to list them, but that you will pay them back. This will allow you to comply with the law and (hopefully) preserve your relationship with that friend or family member. Complying with all of the requirements, and staying out of trouble for running afoul of them, is critical to your obtaining a fresh start. ?What is an automatic stay in bankruptcy? 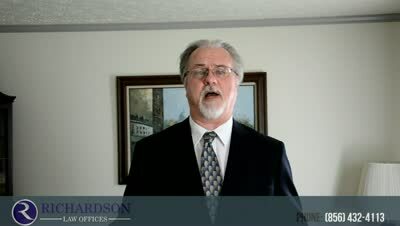 ?Can I discharge NJ divorce attorney's fees in my bankruptcy?